Designed by Bruce Collin Paulson at Fortress Letterpress. Bruce’s image is also featured as the cover for the Death Blues: Non-fiction LP, to be released in June 2014 by SIGE Records. 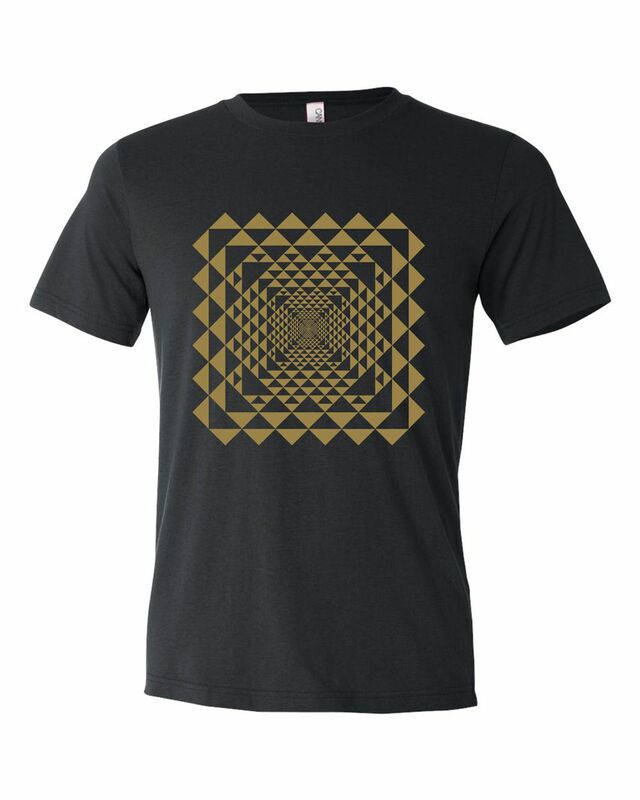 Printed in metallic gold ink on black 50/50 blend Canvas brand shirts made and printed in the US. Published by Rhythmplex in very limited quantities.